The founder of the opposition Movement of New Forces was in Ukraine “illegally” and was “returned to the country from which he arrived,” the Ukrainian border force said in a statement on Monday. 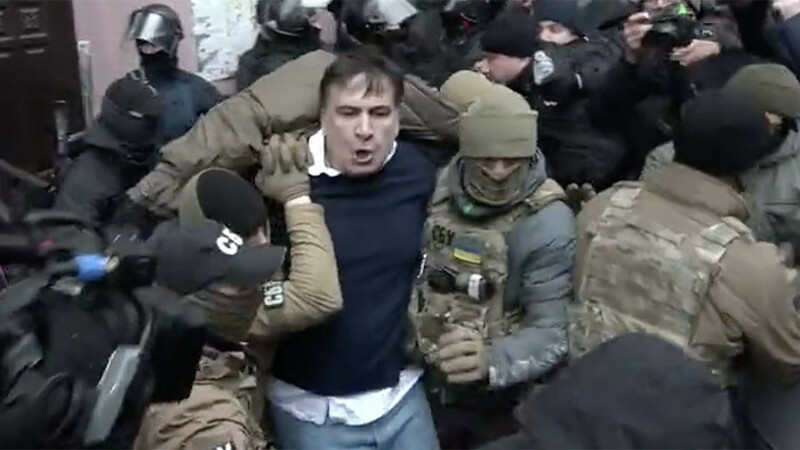 Earlier, it was reported that Saakashvili was detained by some “unidentified people” wearing camouflage uniform in a Kiev restaurant. The statement also says that some “undefined supporters” of the politician “attacked” the law enforcement officials as they were fulfilling their duties. In response, the security officials resorted to force, it adds, without giving further details. 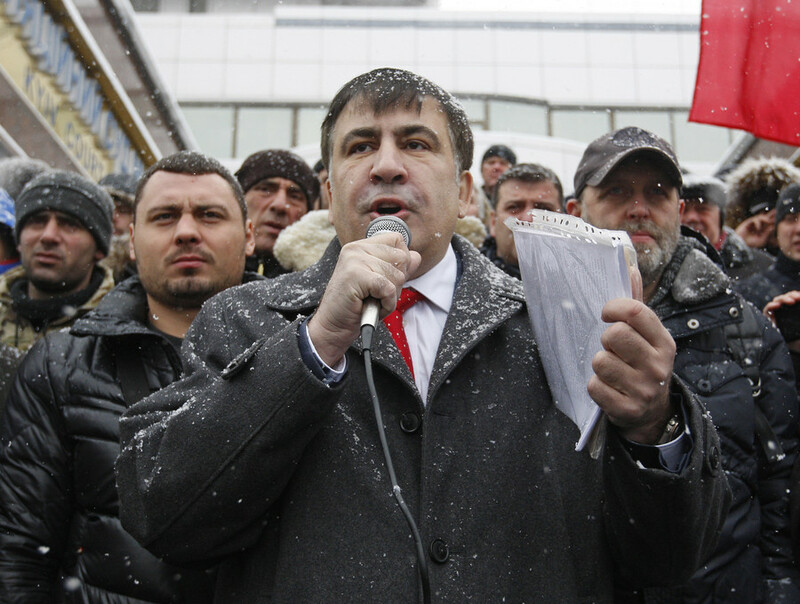 Saakashvili himself also reportedly told his party members he is in Warsaw, according to Ukrainian media. The Ukrainian Interior Ministry also confirmed he was deported to Poland. 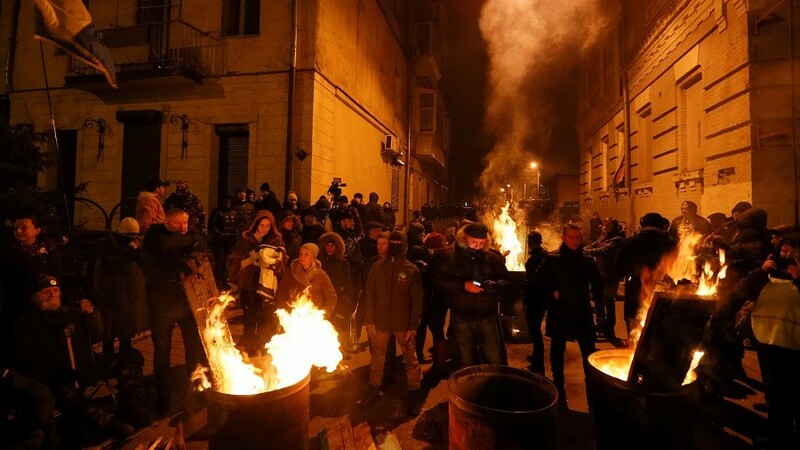 He repeated his call for the Ukrainian government to be “removed from power in a peaceful way,” and called his deportation a manifestation of the “weakness” of Ukrainian authorities. Saakashvili led the Rose Revolution in Georgia in 2003, winning some international praise for his anti-corruption reforms, but soon fell from grace for launching the 2008 war against Abkhazia and South Ossetia, and over corruption charges and his targeting of political rivals. After fleeing Georgia, Saakashvili moved to Ukraine, where he was granted citizenship by Ukrainian President Petro Poroshenko and appointed governor of Odessa in 2015. At that time, Saakashvili gave up his Georgian citizenship. 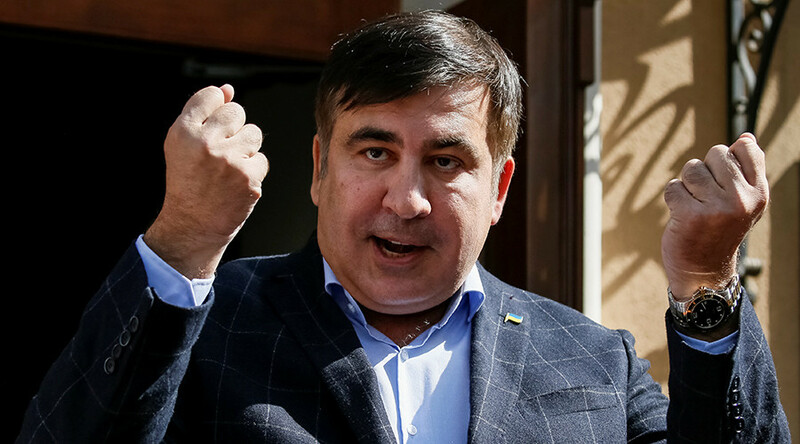 However, Saakashvili soon accused the Ukrainian president of corruption, prompting Poroshenko to revoke his citizenship in July 2017 while the 49-year-old politician was abroad. 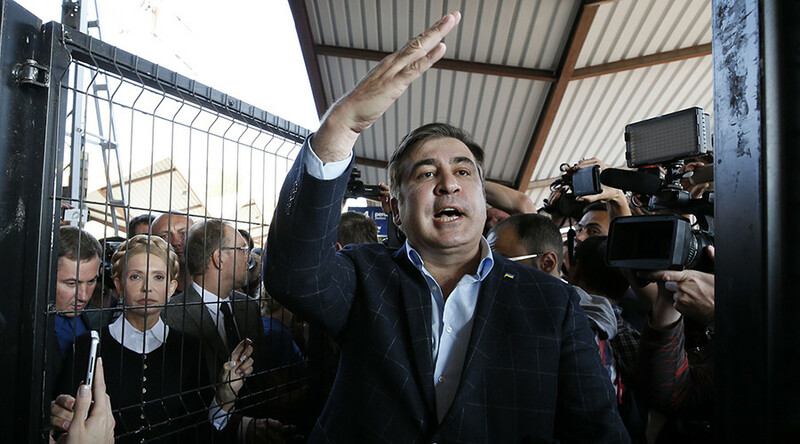 Saakashvili, however, made a dramatic return to Ukraine two months later as he illegally crossed the border from Poland in September 2017. He recruited a crowd of supporters that helped him to break through the security lines at a Ukrainian checkpoint. 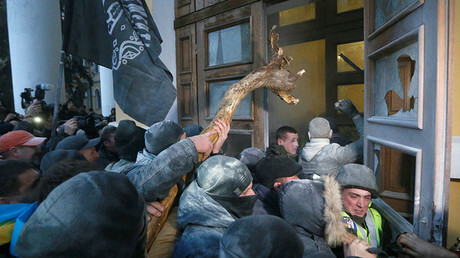 The controversial politician then vowed to challenge the Ukrainian government. At the same time, he also lodged a request for asylum with the Ukrainian authorities. Ukrainian police opened criminal proceedings against him over the illegal border crossing in September 2017. Police officers have repeatedly tried to detain him for questioning since that time. On several occasions, his supporters clashed with police in an attempt to prevent the detention. In one such incident, he even threatened to jump off a roof in Kiev as Ukrainian police searched his apartment. Apart from his turbulent relationship with Ukrainian law enforcement, the former Georgian leader was busy organizing anti-government protests in Ukraine and demanding the impeachment of Poroshenko. 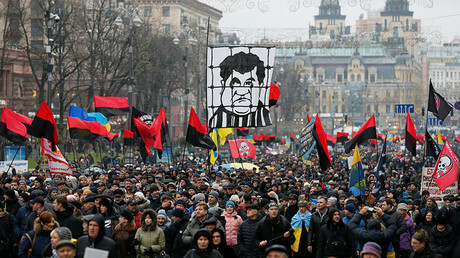 He managed to organize several massive rallies in Kiev in late 2017, which were joined by thousands of people. During one such protest, the agitated demonstrators attempted to take a local cultural center by storm. In January 2018, a Kiev court rejected his asylum request. On February 5, his appeal against that decision was also rejected. Earlier, another court found the stateless politician guilty of illegally crossing the Ukrainian border and ruled that he was living in Ukraine in violation of the law. Ukraine is not the only country where the controversial politician, best known for chewing his tie on TV, has problems with the law. He is also wanted in Georgia on criminal charges linked to embezzling hundreds of thousands of dollars from the state as well as abuse of power during the crackdown on anti-government protests. 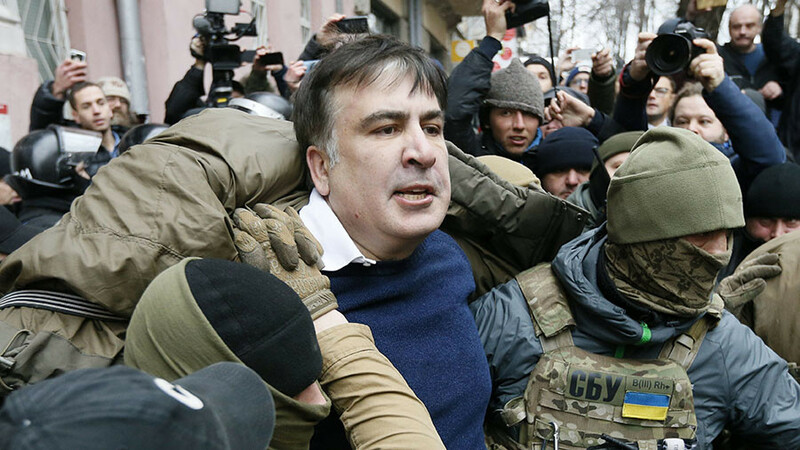 In February 2015, Georgia issued an extradition order for Saakashvili but Ukraine denied the request.